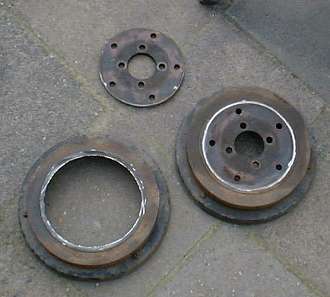 Seen on the internet: Rear disc brakes for the samurai. You can't buy them here so you must be inventive and look to what other people have done...... I'm not gonna be technical because there are a lot of write ups at the internet. Just some pictures how I made it. If you have questions don't hesitate to mail me. The parts I used are all suzuki parts. 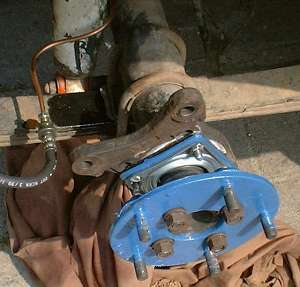 Only the brake line is custom made. 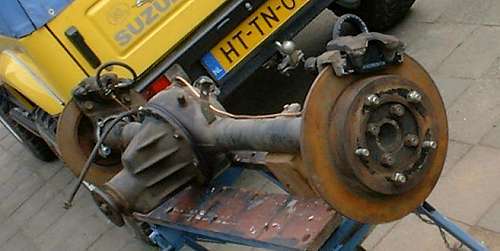 New bearing on the axles. 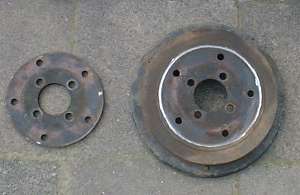 As you see I did also the backing plate conversion so that I could swap axles with my buddies. 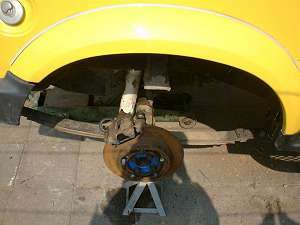 Geoff beasley did a very good article about the plates on www.offroad.com. 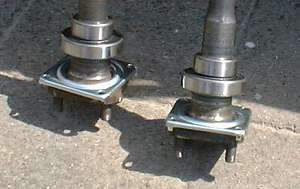 2 pictures of the build up on the spare axle. I tried it on the spare so I could changes things. 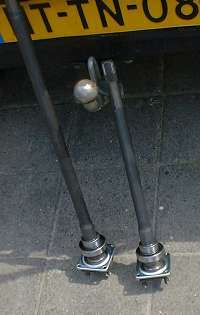 The complete spare axle ready! 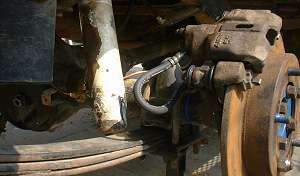 The custom made brake line. Another pair of pictures. 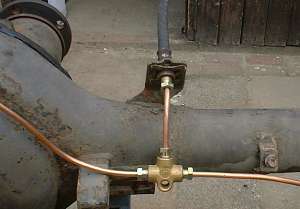 According to people who had done it too you need a proportioning valve. Other say you don't need one. Also I don't have a emergency break yet. I will use a emergency break from a suzuki SJ 413. 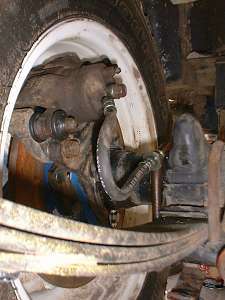 This brake works on the drive shaft. www.bc4x4.comOn this adres is a write up done by: Robin and Dave. I learned a lot from them! 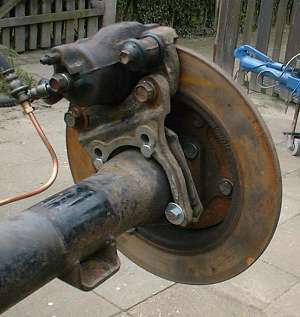 The rear disc brakes are working perfect! 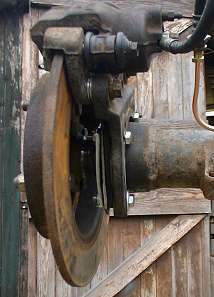 In september 2000 I made the park brake. If you want to see pictures and a little write up: Click here!